Home decor shopping is so much fun. I have been in my living space for three years and am far from all of my decorating needs. One goal is to try to add a new item every few months. Some of my favorite places include Wayfair, Target, and Ikea. Each retailer offers unique items that I can add to create a unique style to every corner of your living space. Apartment living usually gives you white walls so I decided to add inspirational wall decals. 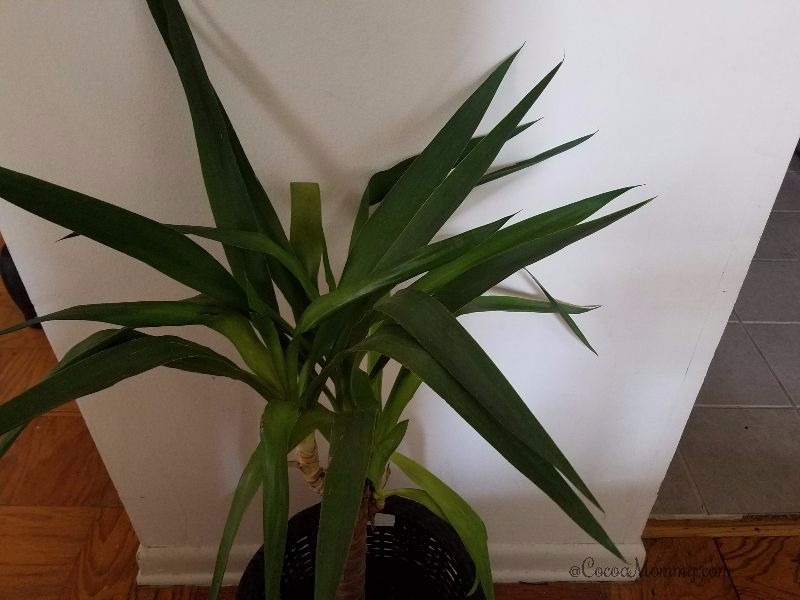 In addition to adding accessories such as decorative pillows and throws, I also have a new interest in plants. 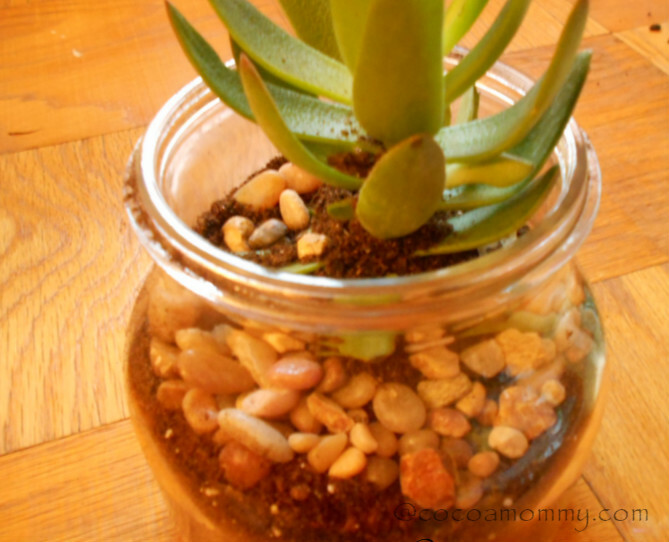 Plants add a nice touch to your living space and health benefits. 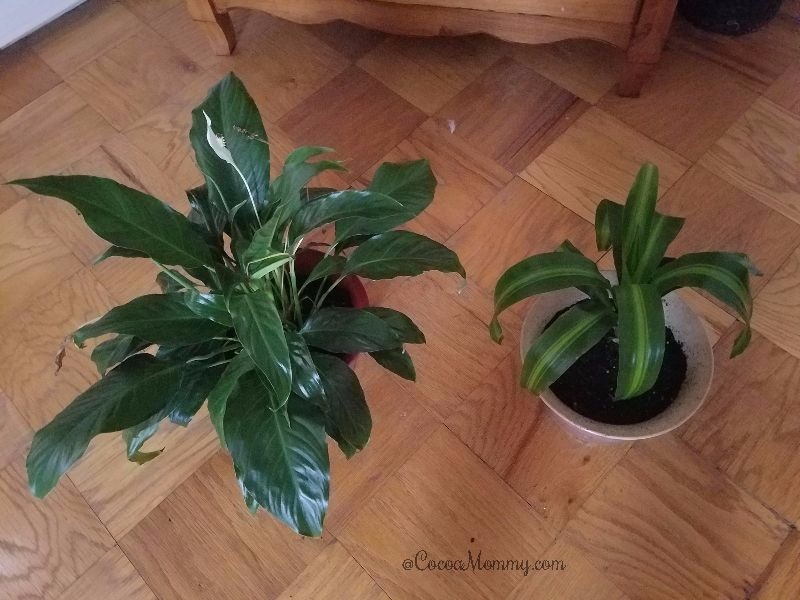 I read you should have 10-12 plants in your living space. It is my therapeutic hobby that requires understanding each type of plant, watering schedule and using the best pots with drainage. Another decorating idea is using all of my digital photos from my phone. 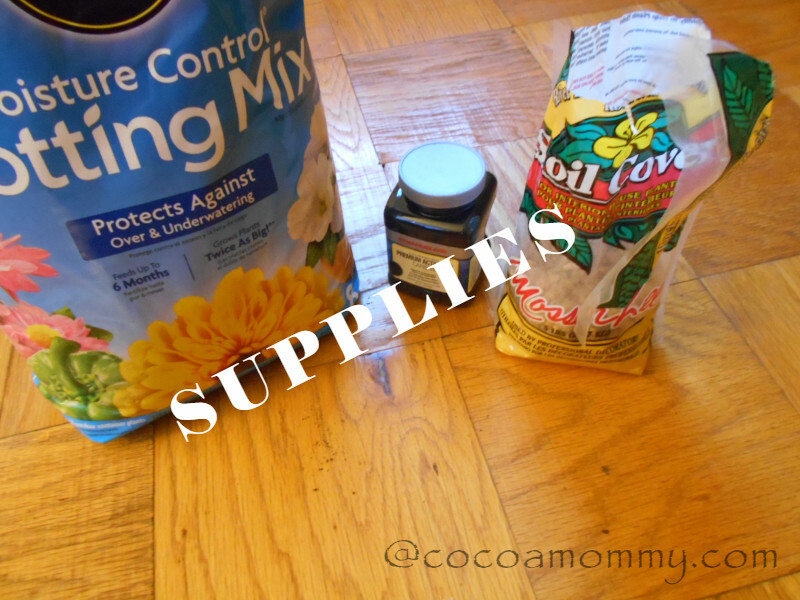 It is so easy to print locally at drugstores or mass merchandisers (Target & Walmart) and it is inexpensive and quick. 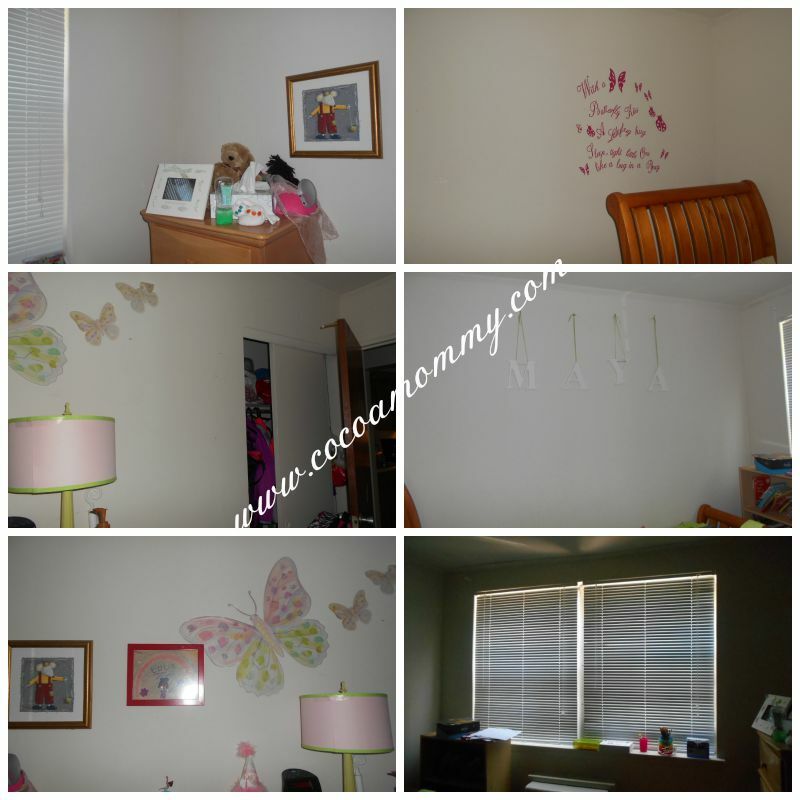 I love to use different types of frames for the photos and one idea for a focal wall is to use all black frames for an assortment of photos with kids. Lastly, creating a sanctuary for the bedroom is necessary. A good night’s sleep starts with the right mattress and good pillows! My decorating lists will be a continuous work in progress. 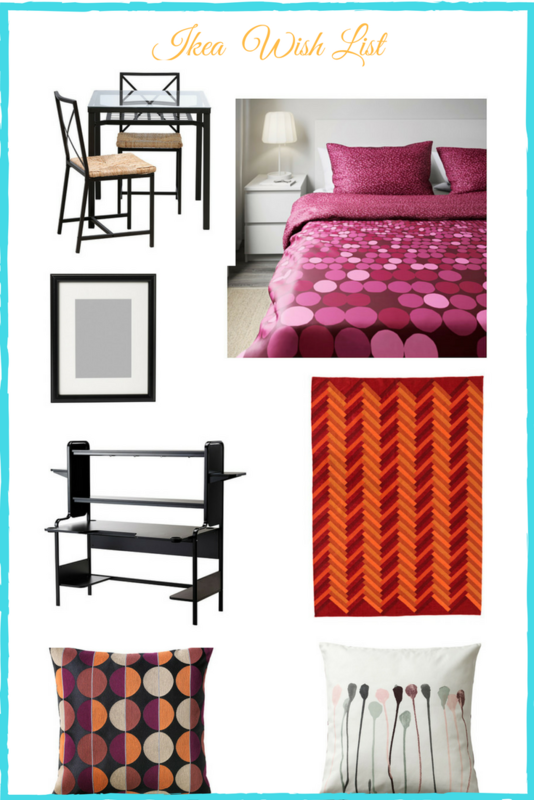 I created wish lists from two of my favorite retailers(nonsponsored post). 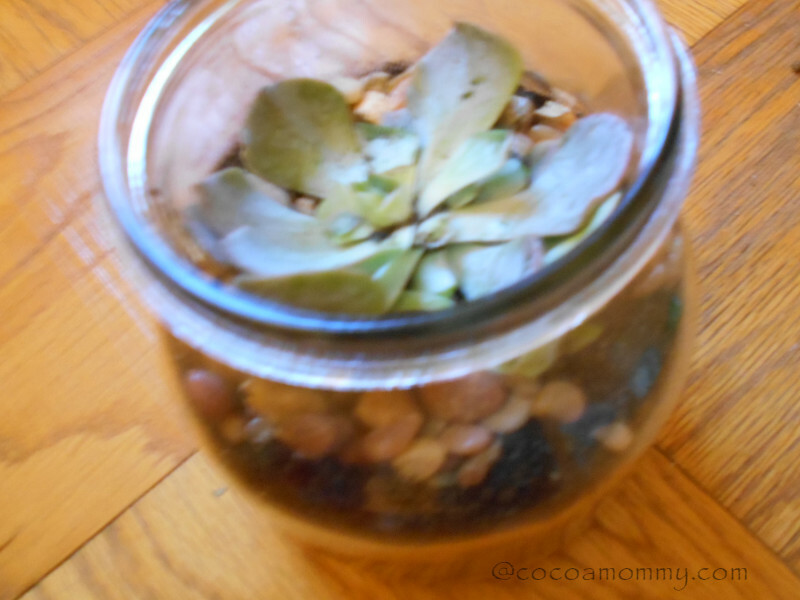 I love finding decorating ideas and tips on the web. 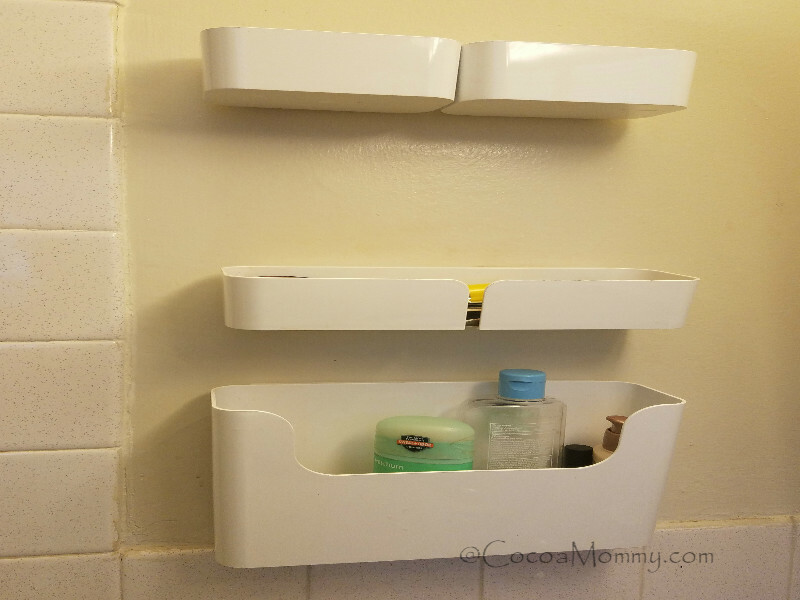 In my bathroom, I have to be very creative in finding a way to store and organize all of my toiletries. One of my favorite places for home decor is IKEA. It may take a while to navigate the store maze, once you learn the floorplan you can find decor items for every room. 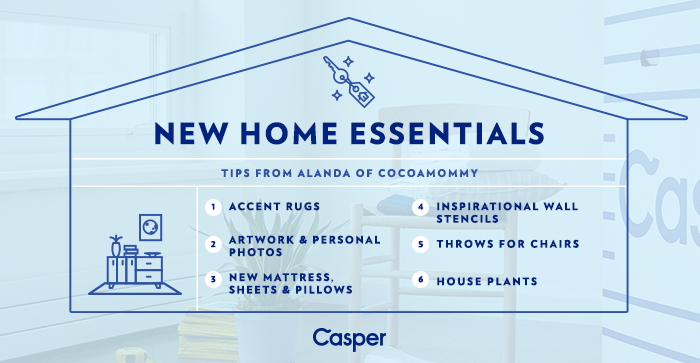 In addition to the decor items, there are the most creative items for organizing and storing stuff in every room of your home. One thing I learned with a small space is to utilize the wall area. 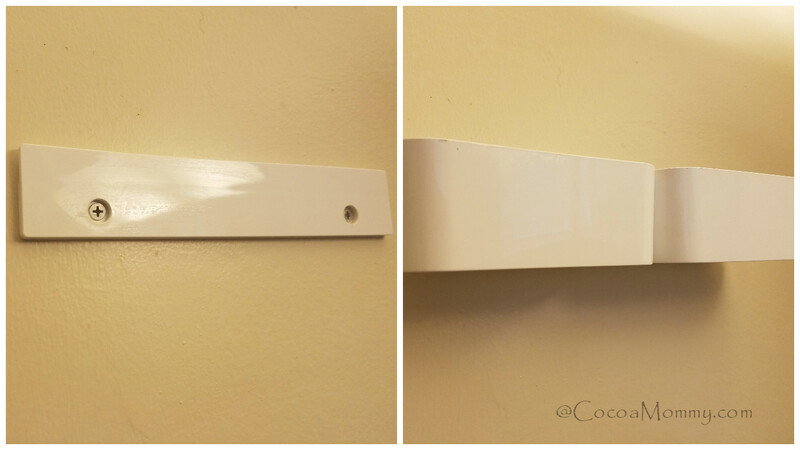 My bathroom is limited with storage space so when I found the PLUGGIS it was perfect. The best part of the PLUGGIS, 7 piece set is it only requires 6 screws and installs in less than 10 minutes. 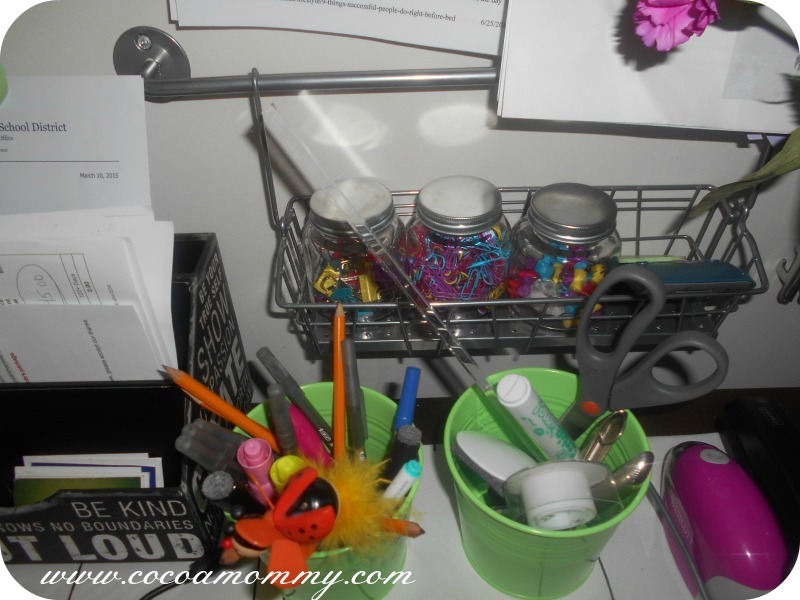 I found another idea for storage underneath the basin at the Dollar Tree. This plastic bin is large enough to store cleaning items and other incidentals. The size is perfect enough to fit more than one if needed. Last, but not least are simple cleaning tips for the bathroom. This is the easiest space for me to clean because it is a small space. 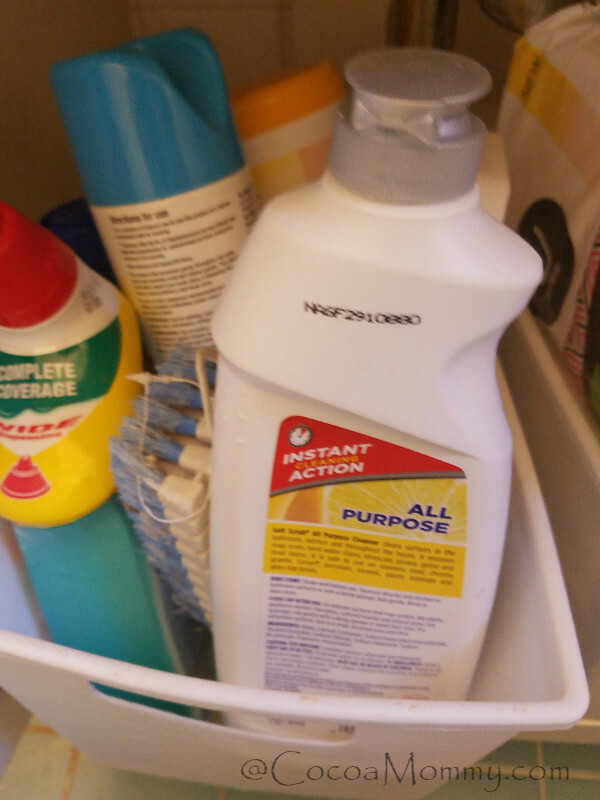 My cleaning staples include disinfectant wipes, disposable floor pads, toilet bowl cleaner and a nonabrasive cleaner for my shower stall. It’s Spring here and I love adding to our apartment living space. I wanted to bring a bit of the outdoors inside of our bedrooms. My daughter is always game for a DIY project. Where do you work at home? I found myself working on the dining room table, sofa, loveseat, and my bed. The real drag was scurrying to find my laptop charger each time my battery was low. 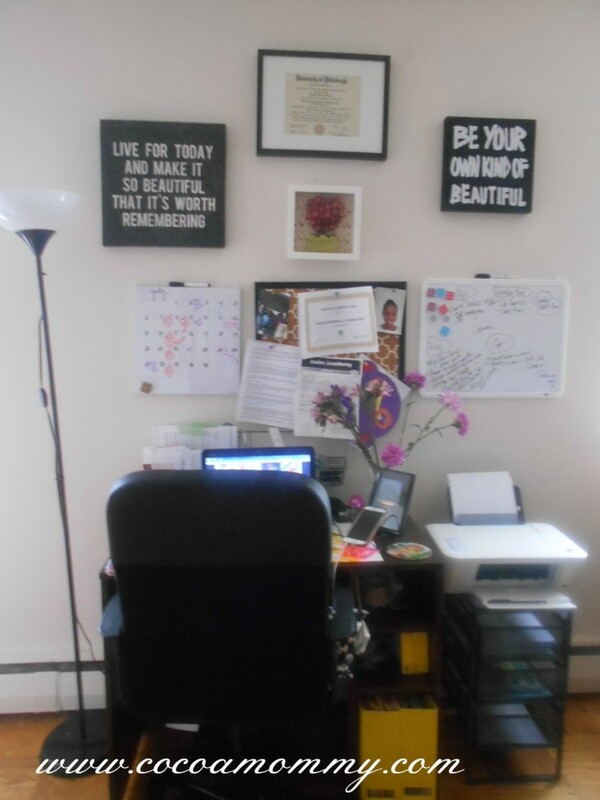 The need to create an office space came from me not having a clearly defined space to WORK. 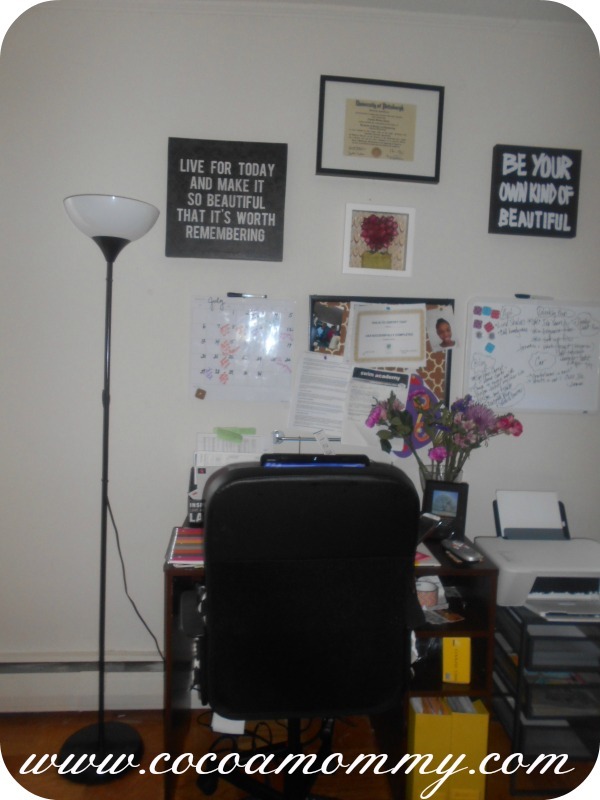 How did I fit an office space in an apartment with 1400 square feet of living space? It was actually simple!!!! I knew I wanted to utilize the wall space between the dining room and the living room, presto my office space was BORN!!!! I mapped out what the was going to look like before putting it on a piece of paper. If you are ever in need of any ideas to get your creative juices flowing just go to Pinterest. 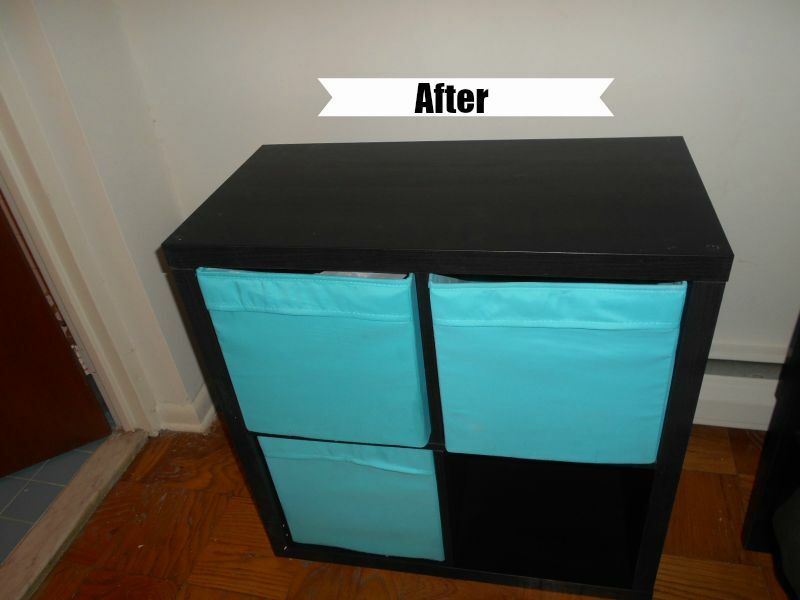 Again I call Pinterest, INSPIRATION NOT DUPLICATION!!! 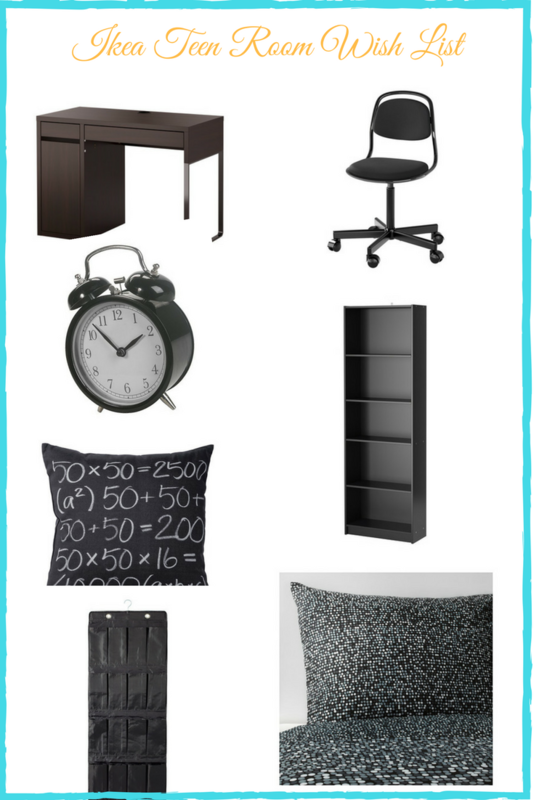 I visited IKEA online to search for a desk and chair for under $100. The BORGSJO desk was $59.99 and the FINGAL swivel chair was $39.99. Yes, 2 cents shy of my $100 budget!!!! Some may say IKEA boo-hoo -I can’t put anything together. If all else fails, I will find someone who actually enjoys using their hands and invite them over for an IKEA/Pizza party and as an extra include wine or beer!!!!! Whatever works to get the job done!!! I like a challenge and being hands on so I put together my office chair in 30 minutes and the desk in 1 1/2 hours. Kudos to IKEA for great quality control because all my parts were accounted for in each box. Target has a great selection of office/home organization supplies so I decided to use three boards, a calendar, a cork board, and a white board. Each board serves a purpose in addition to my google calendar, I need visual reminders as well. The cork board serves to hold inspirations, schedules, pictures, etc. 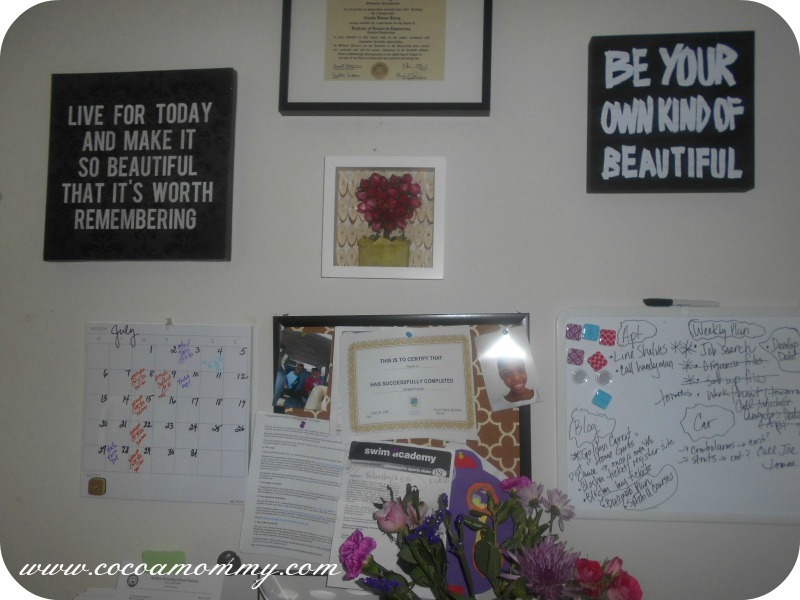 and white board is for me to list daily/weekly tasks and ideas. The black/white boxed art is from Home Goods and TJ Maxx and the shadow box with roses is from Marshalls!!! I have a love for fresh flowers so my desk must have flowers every week(Whole Foods, found some for $3.99/arrangement). From my previous work office I was able to repurpose my IKEA floor lamp, pillow, vase and area rug. The best part of creating a space is everything has a purpose at some point. 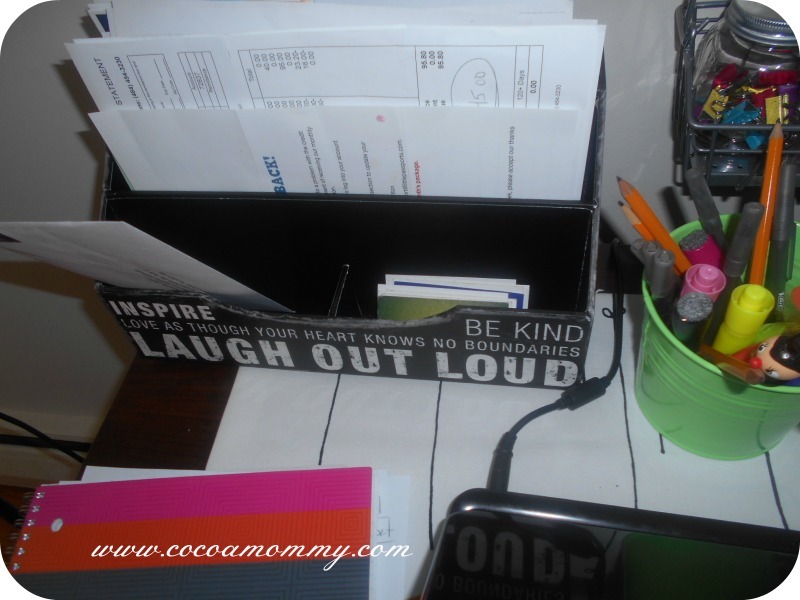 The black box with quotes is from HOME GOODS, this is perfect in black/white; incoming/outgoing mail, bills, to do tasks and filing. In an apartment space, the best advice is to MAXIMIZE wall space. The rod and basket are from IKEA’S kitchen design center. 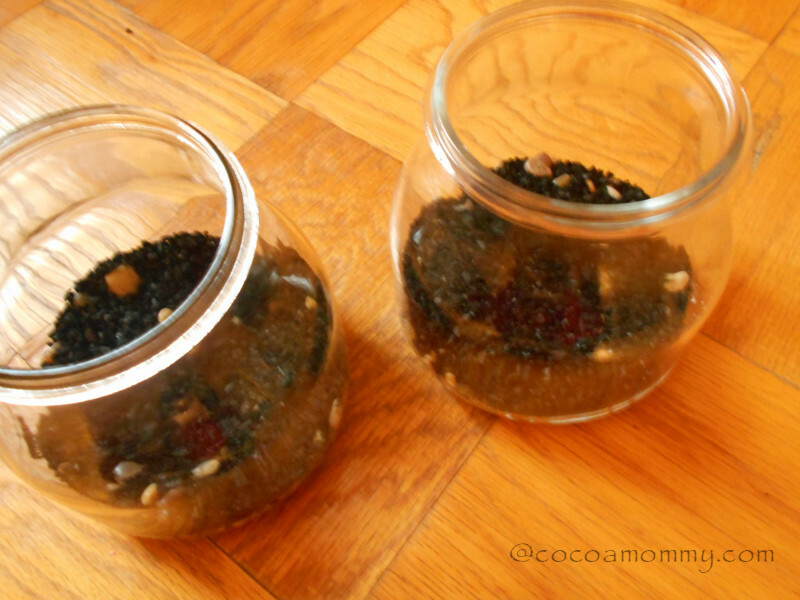 The $1 jars are from Target’s $1-$3 aisle and the office supplies are from Target’s office accessory aisle. Oops I almost forgot the lime green pails (found in IKEA plants department) were $.99! Initially I wanted to use them for small potted plants but the pop of color is really COOL!!! 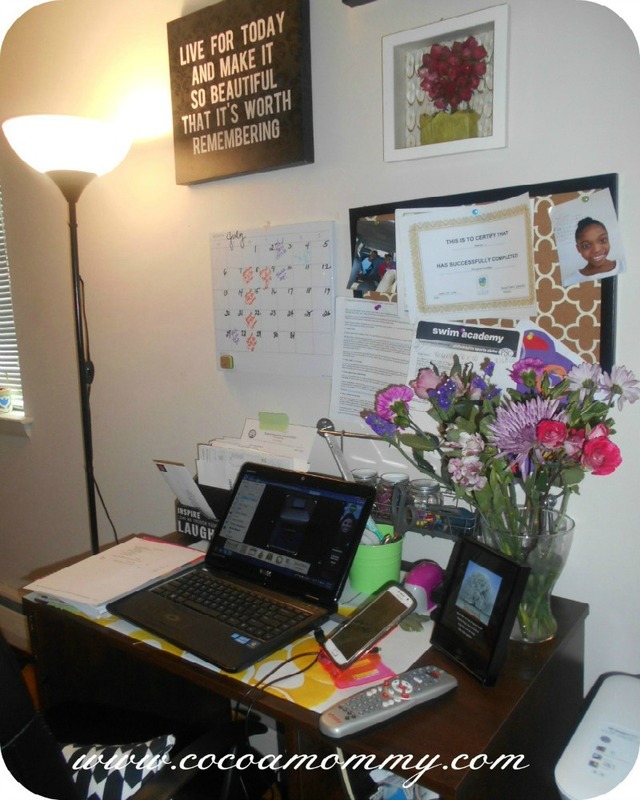 Fresh flowers are a part of my deskscape!!! Flowers brighten any corner. 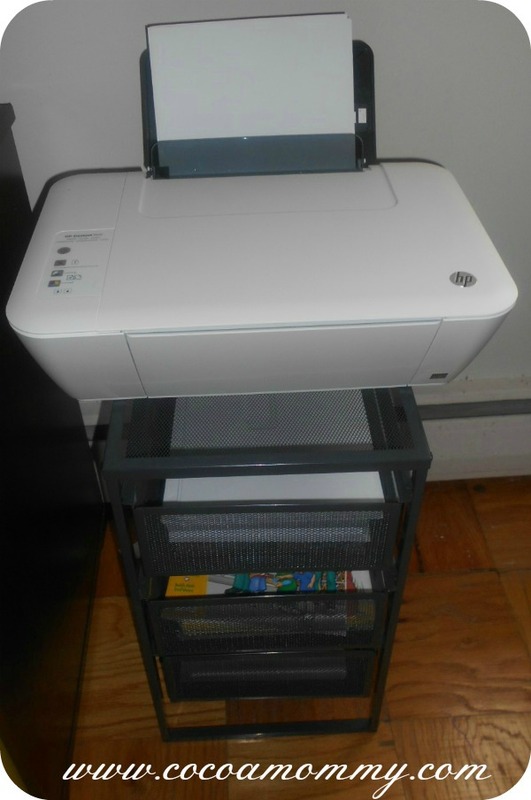 I ordered my HP printer/scanner/copier from Amazon(PRIME member) and since my desk is smaller I found a sturdy IKEA file cabinet. 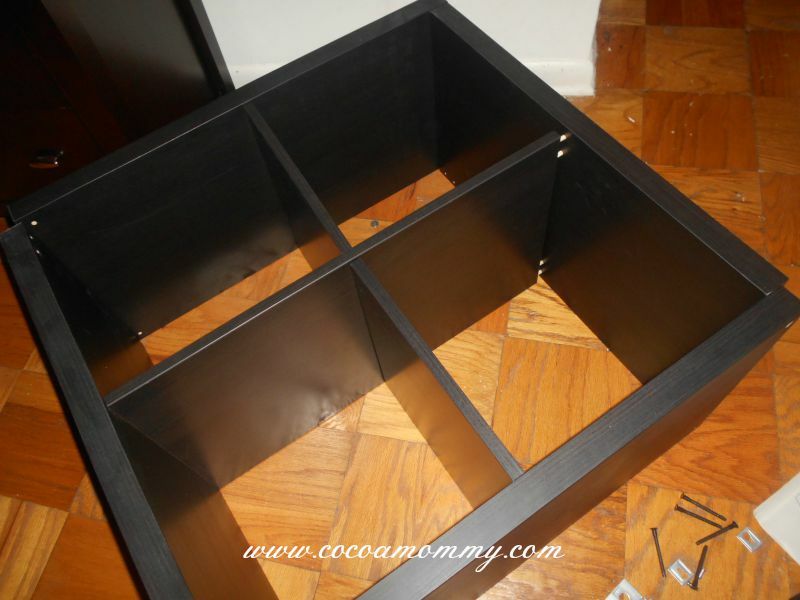 The cabinet has a dual purpose: a place to set the printer and 3 drawers for storage. 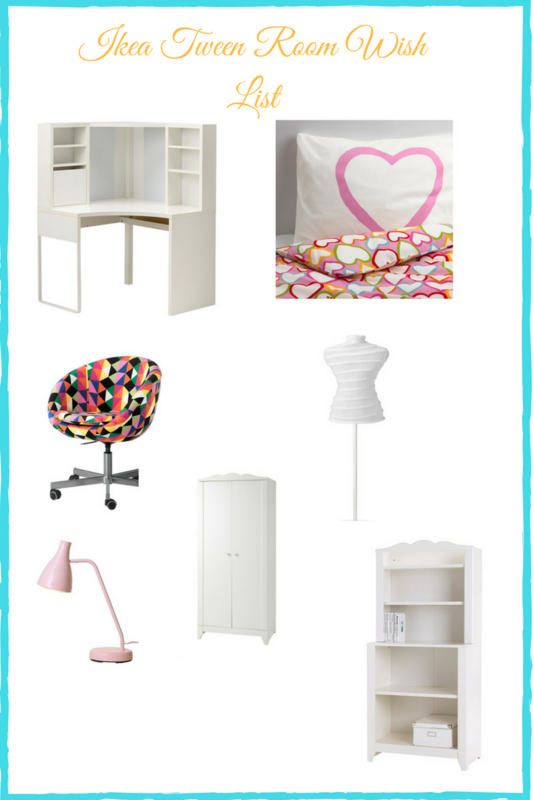 This was so much fun and I am looking forward to starting on my DIY bedroom -DD’s ballerina themed room. HOME GOODS, IKEA , and HOME DEPOT here I come… STAY TUNED !!!!! I am trying to decorate my room to create my place of solitude. 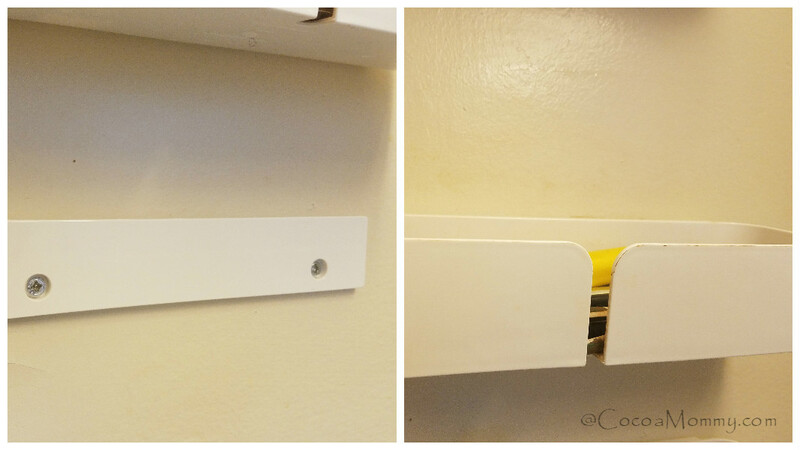 When I purchased the Drona boxes from IKEA, I thought these were a great idea for storing items out of sight. The only problem with the boxes is they are so BLAH on the floor. Well on my next trip to IKEA I spotted a shelving unit designed to hold the boxes. If you notice I only purchased three of the boxes. No rhyme or reason. 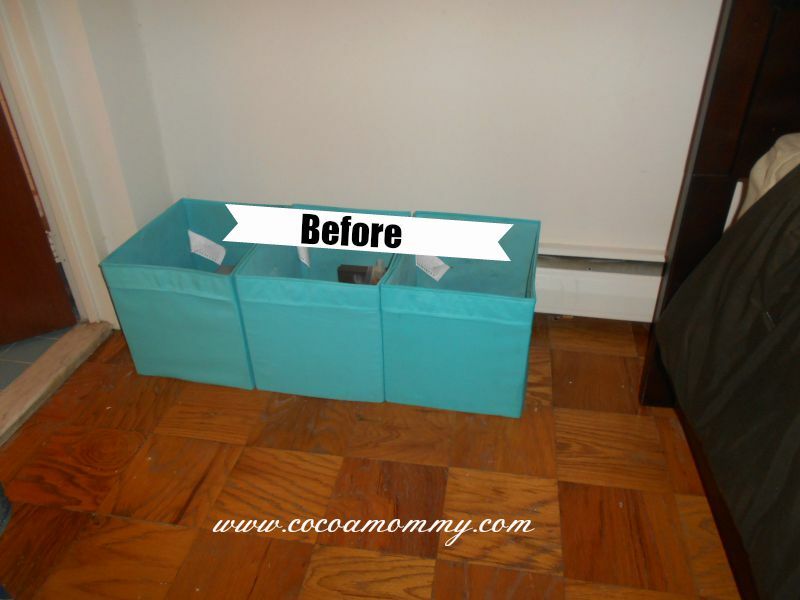 I actually use the boxes to store my jewelry, hair products, and toiletries. 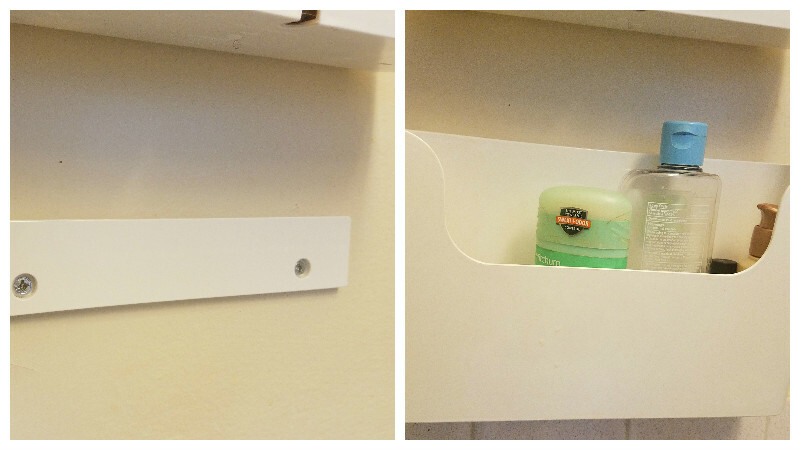 My bathroom has limited space for storing items. 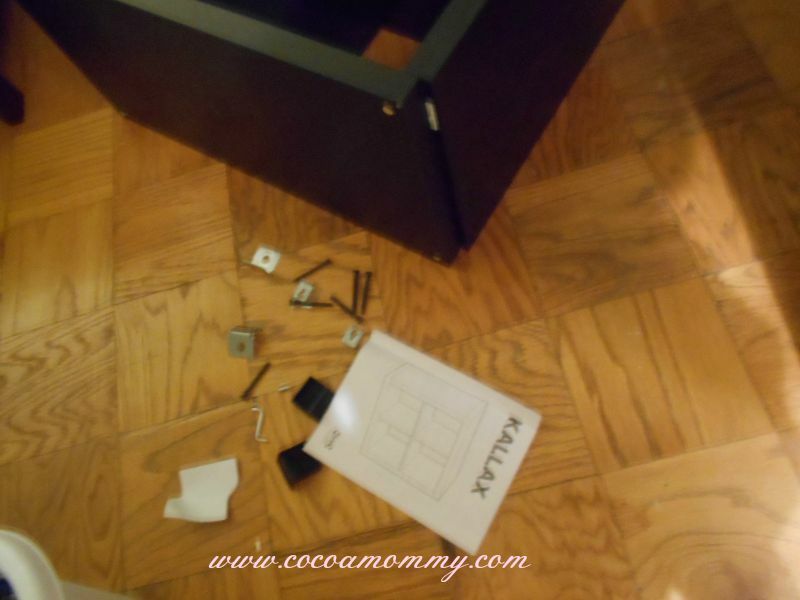 On my next trip to IKEA I purchased the shelving unit that is part of the Kallax series. I enjoy putting things together so I was finished in 1 1/2 hours. This will require another trip to IKEA!!!!! I need another box!!!!! Next, adding a canopy and some accessories for a pop of color!!! 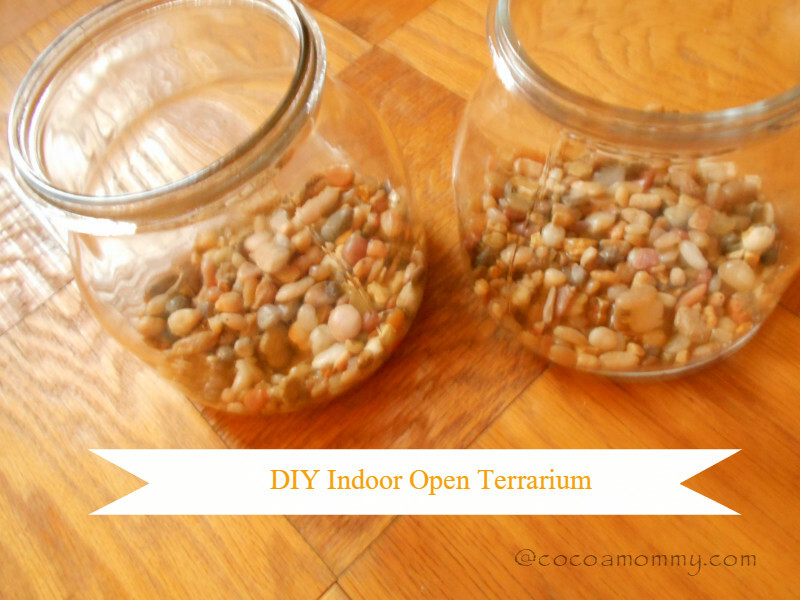 This is a DIY with a true purpose. My DD has two bedrooms, her room and my room. For some reason her preference is to sleep in my room and play in her room. Well guess what I need my personal space back!!!!!! When she sleeps in her room I roll over in the middle of the night to find her slumbered next to me. In celebration of the new school year, my surprise is to have her select a theme for her room from two themes either princess or ballerina. She selected the ballerina theme which has plenty of accessories!!! Winning!!!! Her window treatments are finished, which were easy to make considering I just started sewing. 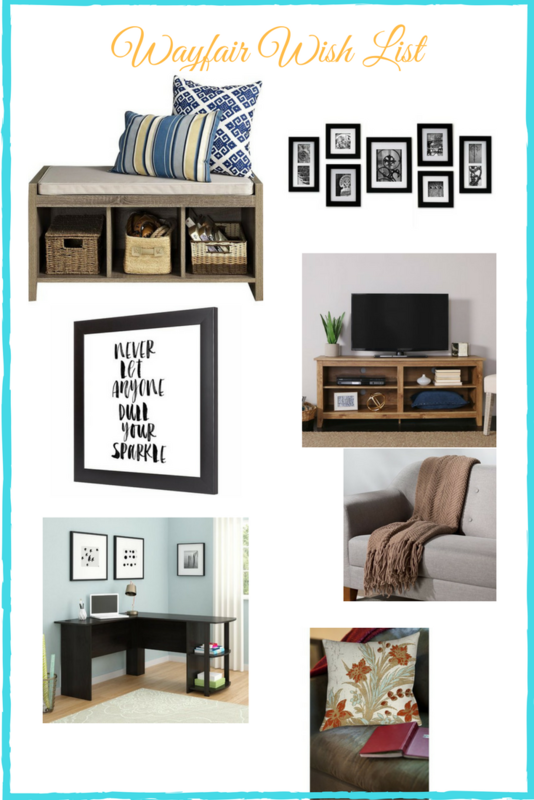 I went to my favorite store for home decor – Home Goods to get some inspiration! 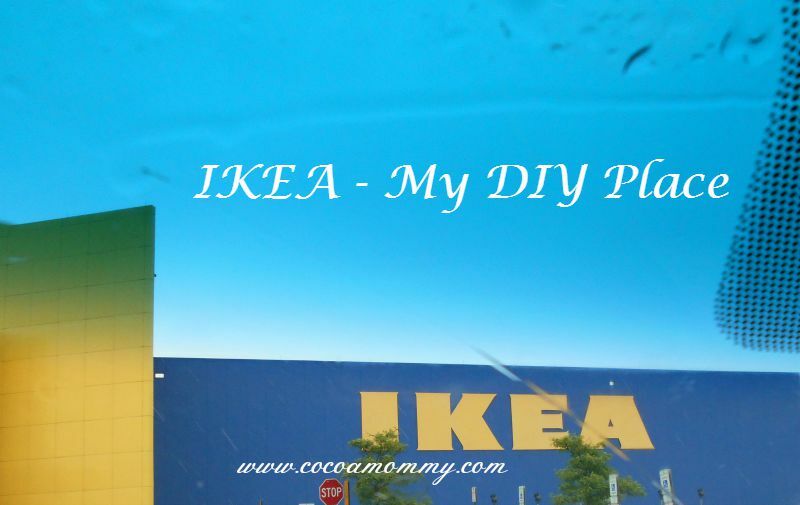 Another stop will be IKEA for accessories and Home Depot for a dowel to install a barre. Our favorite seamstress makes beautiful quilts and what better way to accessorize than with something that is personalized. This will be my project for the next month so I will post with the finished project!!! I am on a serious mission this year to get organized in every space available in my apartment. After moving I realized my stuff was not ORGANIZED!!! My office space pretty much dictated the need for ORGANIZING to make it truly functional space for organizing tasks, bills, mail, to do list, etc. If it’s not apparent I am a huge IKEA fan and seriously doubt there are any areas of the store I have left untouched. 3)The local FEDEX will shred your documents for $.79/lb on my first trip I spent less $6.00 to shred my bundle. TIP: if possible load your documents in a supermarket bag size or light weight trash bag for weighing. NOTE: The documents are not shredded on site by FEDEX. Here is the process: a. documents are stored in a pad locked container, b)Blue Mountain picks up the documents and the documents are taken offsite to be shredded. There is also another company SHRED NATION who will come on site to your home or business and shred on site if the volume meets their requirements. They also offer shredding at their multiple locations throughout the US. SHRED NATION is located inside of UPS stores. 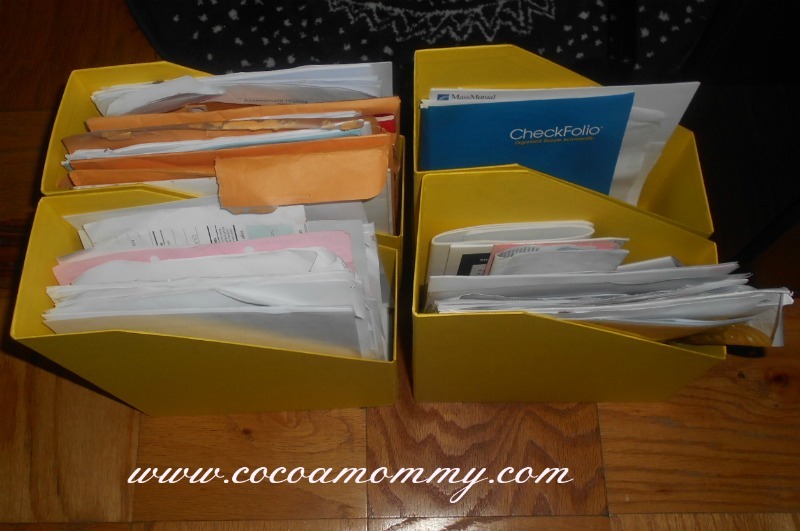 4)FILE —I created file bins for everything relevant to me and the kids!!! 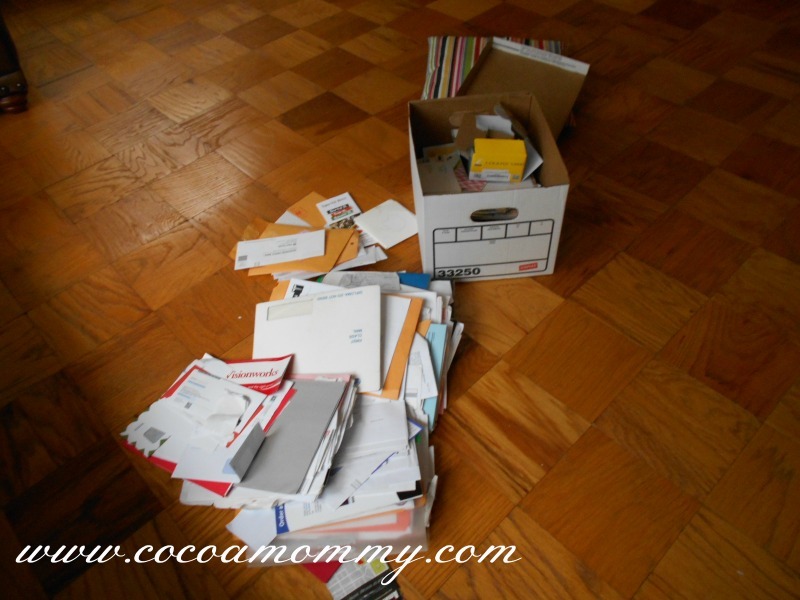 Healthcare, School, Bank/Receipts/Miscellaneous and Insurance Documents/Apartment Documents. These are IKEA TJENA magazine files. The files come with adhesive labels to mark each file. The cardboard is extremely durable for handling. Next on organization agenda, EXECUTE A PLAN FOR DEBT ELIMINATION!!!! Stay Tuned.